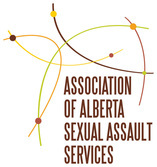 The Association of Alberta Sexual Assault Services (AASAS) is a provincial umbrella organization that provides leadership, coordination and a unified voice on issues of sexual assault and abuse while increasing recognition, support for and access to sexual assault services in Alberta. Alberta Health Services (AHS) provides comprehensive care to survivors of sexual assault or abuse. Sexual and Reproductive Clinical Services are available across the city (including emergency contraception, birth control, pregnancy testing, STI testing and treatment). Education and health promotion services are available to any individual or group who needs information or programming about sexuality across the lifespan. Calgary Communities Against Sexual Abuse (CCASA) is the primary sexual assault and sexual abuse crisis and education service provider for Calgary and surrounding areas. CCASA works with individuals and communities to change the climate of tolerance and denial towards sexual violence by shifting perceptions and providing onsite support. CCASA provides safe, accessible, professional services to people of all races, abilities, religions, sexual orientations, and genders. The Calgary Police Service (CPS) investigates all reported sexual assaults as well as any historical complaints of sexual abuse. The CPS is dedicated to preventing victimization through the development of proactive strategies such as public awareness campaigns, education programs, and building strong partnerships. The Calgary Sexual Health Centre is a community-based organization that provides access to non-judgmental sexual and reproductive health services and supports across the lifespan. Calgary Sexual Health Centre offers counselling for youth and adults, education, and outreach services throughout Calgary. The Calgary Women’s Emergency Shelter is focused on ending family violence and abuse in the lives of women, children, youth, and men. Commemorating 40 years of “Taking a Stand Against Family Violence”, the agency has helped more than 150,000 Calgarians build safe lives and healthy relationships. Although the Emergency Shelter is the cornerstone of the organization, it is “More than a Shelter”, serving more than 12,800 clients each year through a number of innovative safety, healing and prevention programs. In communities across Canada, the Canadian Red Cross has been helping to break the cycle of hurt by offering award winning programs like RespectED: Violence & Abuse Prevention. The Red Cross teaches kids and adults how healthy relationships look and feel, how to recognize the signs of abuse, dating violence and harassment, how to get help, and how to build safer relationships within their organizations and communities. Connect is a network of Calgary service providers who are working together to simplify access to essential services for individuals and families affected by family and sexual abuse. Connect links people with related agencies and resources that can support them. HomeFront is a leading edge, coordinated, community‐justice response to domestic violence. Working together with justice, law enforcement and the community, HomeFront gives victims a voice in court, offers treatment to offenders, and provides early family intervention. HomeFront is recognized for increasing victim engagement in the justice system, contributing to a marked reduction in domestic violence re‐offence rates, and creating and collaborating on socially innovative approaches to breaking the cycle of violence. YWCA of Calgary is one of the longest serving social service organizations in Calgary. During their more than 100-year history, we have touched tens of thousands of lives and have continually evolved our programming to meet the changing needs of women in the community. They support clients in meeting their immediate, and most basic, needs and then work directly with them to create positive change in their lives. We believe that healthy women and healthy families lead to thriving communities.